I am using your demo but I dont understand why I am lose the skin o the css in some pages. I am too trying a second demo integrating spring security, richfaces 4, spring 3.0.5. Please, help me with an advice about of my demos. I downloaded your first zip file. But I am not able to compile it. Withe “mvn compile” I get compile errors. And Eclipse shows me some unknown classes. For example: common.money.Percentage. With your second zip file I have the same problem. The import common.money.Percentage can not resolved. Project build error: ‘dependencies.dependency.version’ for org.richfaces.ui:richfaces-components-ui:jar is missing. I searched on the internet about part of the error and one solution was to remove the: richfaces-components-bom-4.0.0.20100715-M1.pom.lastUpdated file and try again. This did not resolve the issue. One thing I came across is the project properties -> Java Build Path’s libraries do not match the version within your pom. Also, not all of the libraries listed are downloaded when using the archetype. I figured out what I was doing wrong. I am new to Maven and once I used your archetype, I needed to run “mvn eclipse:eclipse”. Then, I imported the project and everything was there. hi.. My project don’t load the css, but run .. I don’t what to do. Did you checked the rendered HTML file in the Browser with FireBug? Take a look if there are some css files included and if the path if correct. If you doesn’t changed anything on the archetype it should work perfectly. Maven will generate eclipse metafiles for your project and you can import the project into eclipse. Flawlessly. Thank you very much. What for an IDE are you using? Your error sounds that your IDE is not configured in the right way. Or some plugins/extensions for JSF and RichFaces are missing. Hello, I’ve got this same problem, I’ve been not able to use richfaces. Maybe do we have some configuration missing? I came across the same problem,and rich.taglib.xml doesn’t contain the tag name (rich:accordion) I tried to use. So I decided to move to 4.1 and got rid of “Tag Library supports namespace: http://richfaces.org/rich, but no tag was defined for name”. But it gives me script error ” ‘RichFaces’ is undefined”. Below is the firebug’d source. The same issue is reported in “https://community.jboss.org/message/625471#625471”. I think I need to tweak something while moving Richfaces 4.0 to 4.1. BTW, If you can add some example components in home page, it is greatly appreciated. Could you please help out of this ? Hey guys. I am pretty busy right now. But I will offer a bug fix this week. Let me know if it is working for you guys. I added RichFaces 4.1.0-Final and the newest Spring Framework. On the welcome page I added the RichFaces Calendar. Just to demonstrate that the RichFaces components are working with this archetype. Please give me Feedback and let me know if it is working for you Guys. can you please send me the artifact via email? I’ve checked the repo site for several times in the past couple of days but it was not accessible all the time. Using this archetype as base, I created another page. 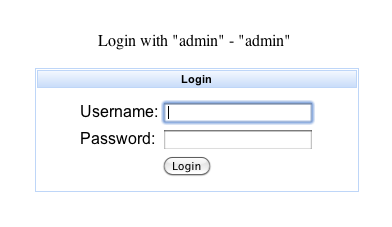 In that, I am trying to submit a form through ajax to a bean’s business logic. But it throws an exception that seems a form ( which relates to a pojo inside bean) doesnt get mapped. //expect data inside studyInfo and pass it to service. When I click the Save button, I get below exception in tomcat console. I am not sure how StufyInfo inside UserBean is instantiated and get mapped with request. Could you please give any inputs ? Any ideas will be greatly appreciated. First of all you should generate getters and setters for the property. How it gets instantiated is depending on your configuration. With this archetype you should instantiate it through the Spring Framework and inject it into the bean. Usually this happens via autowire by name.